Fundraisers are unique events that deserve a one-of-a-kind entree that captures guests’ attention—and their palette. From a formal charity gala to a more casual school fundraiser, the main dish should match the formality of the fundraiser and event theme—and surpass guests’ expectations of flavor and creativity. Take your guests on a global getaway and give them a chance to mingle. 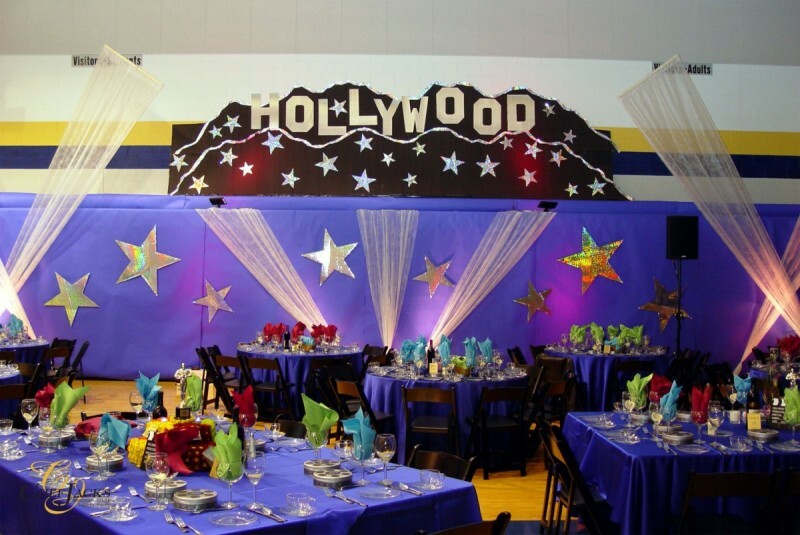 For an international-themed fundraiser, opt for food stations that can be positioned throughout a unique fundraiser venue. 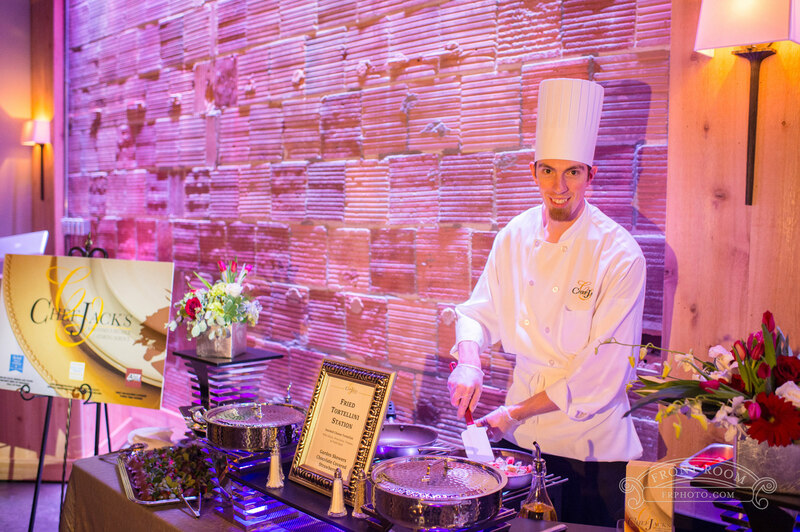 With a strategic placement and fundraiser menu selection, food stations give guests a chance to sample exceptional tastes, engage in fundraising activities, and interact with other guests and key staff members. 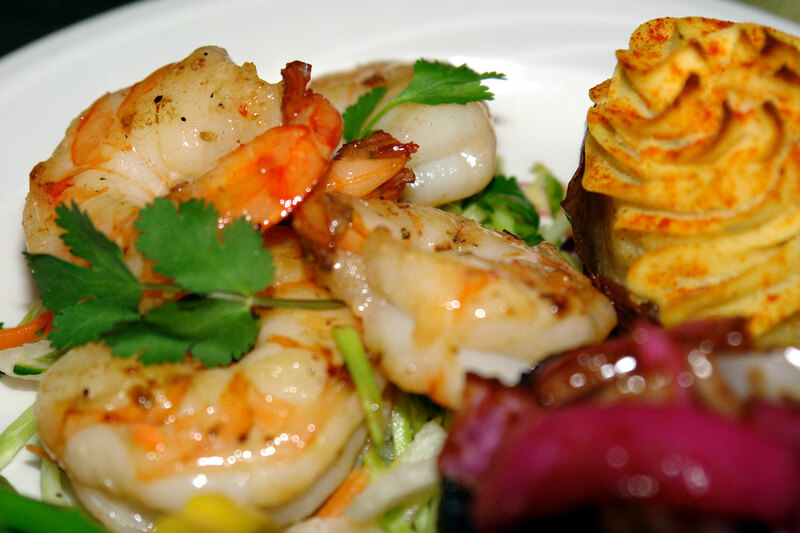 For the fundraiser menu, choose international tastes that fit with the theme and venue. Discuss options for international-themed food stations with the caterer. A Moroccan food station with sautéed chicken and lamb stewed in a red pepper, garlic, onion and saffron rice is a one-of-a-kind flavor guests won’t expect. For a south-of-the-border flavor, consider adding a Mexican food station to the fundraiser menu with spicy chicken fajitas, beef and bean Burritos, and flour tortillas. An Asian food station with beef stir fry with oriental vegetables, general tso chicken, brown rice, and soy sauce can be just the ticket that completes an international-themed event atmosphere. A formal fundraising gala menu isn’t complete without an upscale entrée; a filet mignon can be a huge draw to a fundraiser menu. 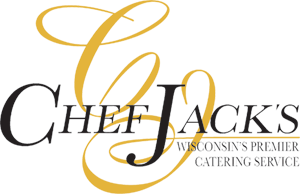 Meet and exceed guests’ expectations with a Crusted Filet Mignon, an herbed filet with wild mushroom demi-glace, or a Sicilian Filet Mignon, a crusted filet seasoned with Italian spices and topped with red wine sauce. 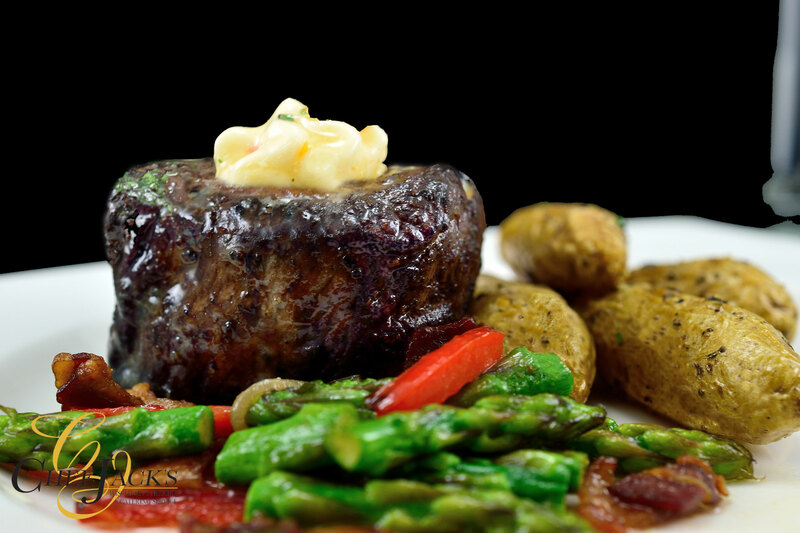 For a successful fundraiser sit-down menu, pair a filet mignon with a delectable side dishes (ask an experienced caterer for recommendations). 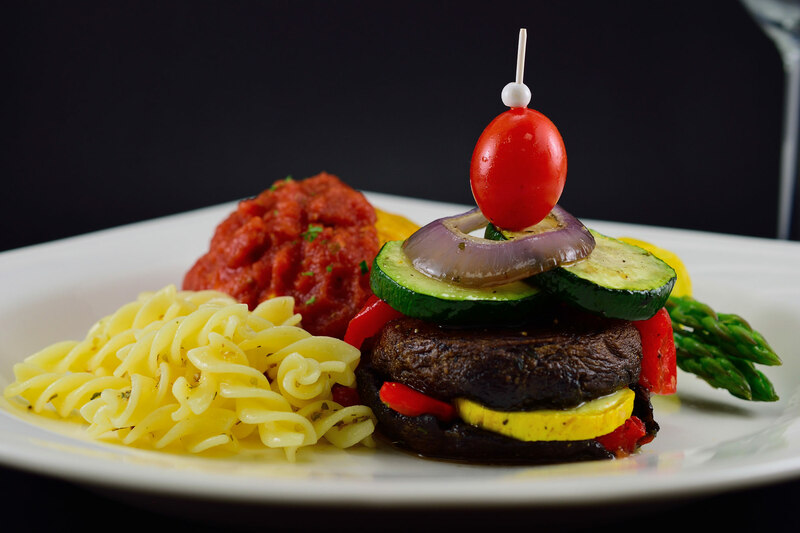 Consider an Italian-themed menu with a delicious Caprese Salad, assorted rolls, a Grilled Tuscan blend of vegetables, or Linguine Pasta Nest. During the coldest times of the year (such as our freezing Wisconsin winters), consider adding a hearted Sage Roasted Root and Princess Onion Potatoes to the gala sit-down menu. There is not a dish that exudes waterfront (or lakefront, as in the case of our beautiful Wisconsin lakefront venues) like seafood. For a distinctive and portable flavor, choose a seafood station that draws guests as they enjoy a delightful fundraiser menu and venue. For a sit-down, buffet, or family-style dinner, choose a common seafood favorite with an over-the-top flavor, such as a Pan Seared Halibut, Cod with Lemon Butter, or Sauteed Jumbo Shrimp. Combine these mouthwatering main dishes with fresh vegetable dishes, salads and potatoes, such as Sour Cream and Chives Double Baked Potatoes. Sliders may not be the first fundraiser menu dish that comes to mind, but a slider food station can be a real hit for a carnival- or circus-themed fundraiser. Don’t make guests settle for less; instead give guests the option to choose from Grilled Mini Burgers with assorted petite rolls and condiment choices (don’t leave out the fantastic kettle chips). 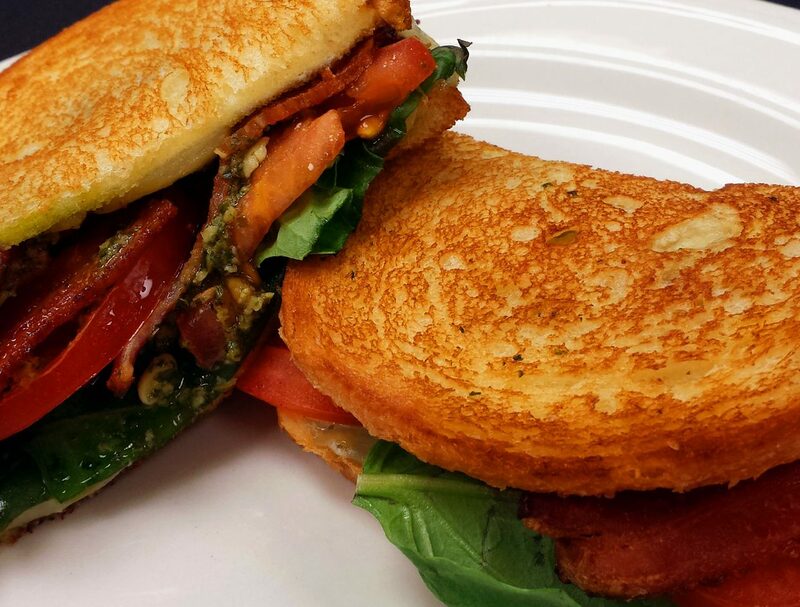 For a second option, select a Grilled Cheese Station with aged white cheddar, Basil Pesto Grilled Cheese with mozzarella, bacon, and Roma tomato, and a Pear Grilled Cheese with caramelized pear and creamy brie cheese. 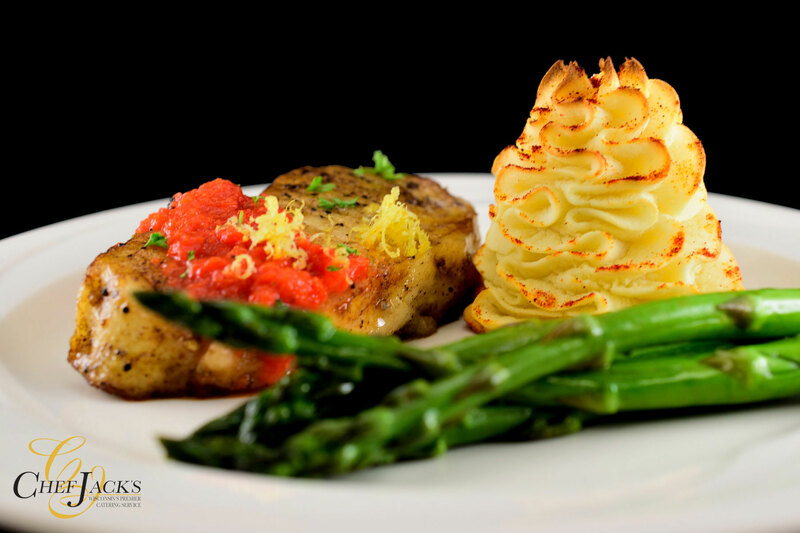 These fundraiser menu items can give a fantastic and upscale flavor that create an anticipatory feeling among guests looking forward to the next event step. When choosing a fundraiser menu entrée, don’t neglect those with vegetarian tastes. Discuss options for those with dietary restrictions or a vegetarian preference with the caterer, such as a selection of delectable vegetables wrapped in puff pastry and covered with a marinara sauce. Fundraiser guests can appreciate the choice and the inclusion of fresh vegetables. This incredible dish can be served in almost any dinner service: sit-down, family style, buffet, or a semi-sit down—-even as Ratatouille Bites, a popular appetizer. 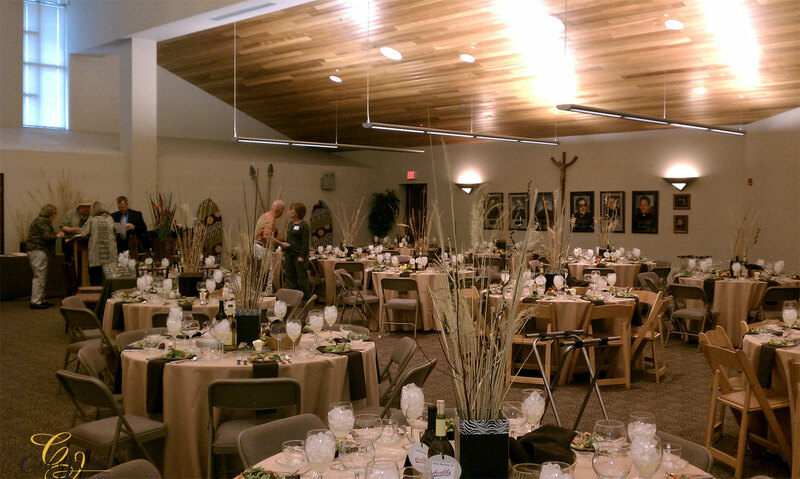 Discuss the appropriate dinner service option for the fundraiser with the caterer. Contact us for more fundraiser menu ideas. 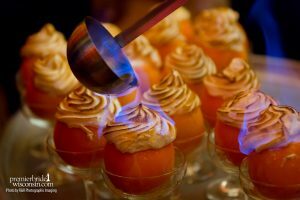 Fundraisers are unique events that deserve a one-of-a-kind menu that captures guests’ attention---and their palette.